Small issue w left mirror vibration. But would like it as stable as the right side mirror. I have looked in the Clymer & BMW shop manuals. As well as searches online. The parts are listed in the fiche at Max's BMW & elsewhere. And have only found reference to the mirrors "snapping on & off". I can see that there has been silicone/caulk added. Very obvious between the mirror pod and the upper fairing. I wish to perform repairs as needed to resolve this issue. Without creating any other issue(s) in the process. That said, I bow to the wisdom/experience of those who have traveled this path before me. I am very comfortable working on Airhead/Boxer bikes. And even the "boxer" Porsche's & Subaru's. 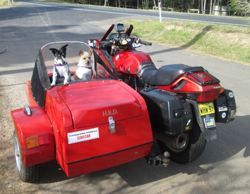 But as this "flying brick" is now my primary (only road ready/legal) ride, I want to proceed with the utmost caution. I really hate it when I break something whilst attempting to fix something. So, please reply with instructions or links to assist in the removal and diagnosis of the vibrating mirror. BTW, Evidenced by the scratches on both sides of the bike it is obvious that the bike has been down on both sides. Doesn't appear to have been too dramatic though. As always, ITIA for any and all replies. First of all, the K100 vibrates more than the K75 which has a balancer on the output shaft. The mirrors will always be a bit blurry. Have you done a thorough tuneup? Valve clearance, and throttle body balance can help a lot to get the engine running smoothly. The mirror glass is removed by slamming the mirror body face down on a piece of carpet. Some have had a bit of improvement by attaching a wheel weight to the back of the glass. I believe they are attached above or below the pivot. I have also heard of people putting a bit of blue Loctite on the pivot ball. .75 thx 4 d reply. Yes, all service and maintenance is up to date. And i do mean All. to the front of the K bike. Rears are totally diff, R = 18 K = 17, or I'd swap the rears too. I will let y'all know if its "tweaky", "dives" or otherwise behaves badly. .75 thanks again for taking the time to reply. But what I need to know is how to remove the mirror pod. As the mirror is firmly in the pod. It is the pod that is loose. I should have been more precise in my initial description of the issue. 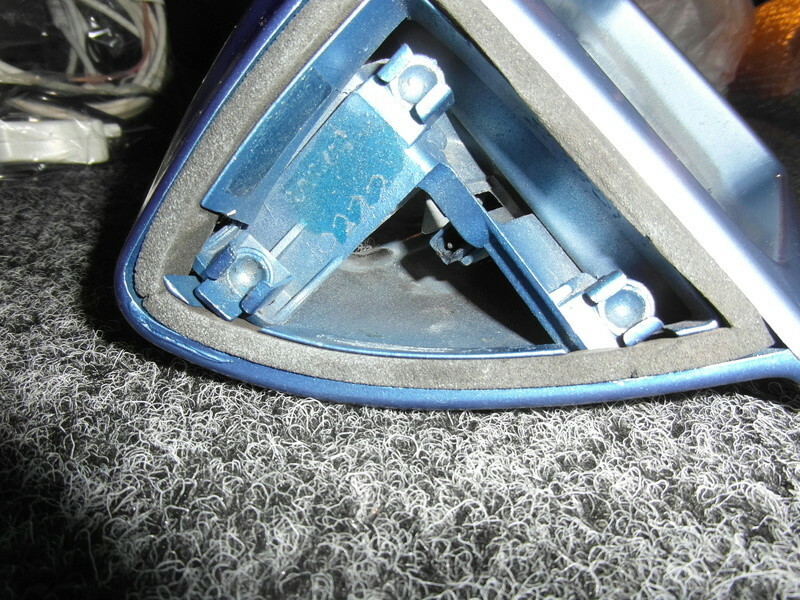 To enable me to diagnose the cause of the vibration, which is more of a wobble that a vibration, and repair,replace or fabricate whatever is necessary to get it to behave the same as the right side mirror. Those mirrors originally had a rubber backing pad between the pod and fairing, most haven't survived till now. I use the O-rings from a garden hose fitting over the head of the bolt so the pod is firm. I can buy five O-rings in a blister pack so I need 2 packs and 4 extra O-rings for spares. Somewhere in my well organized man cave these O-rings are gathered in groups of 4 well out of my sight. Are you talking about the mirror pod vibrating or the glass vibrating inside the pod? I had a loose glass in the pod that vibed a bit. I removed the glass, fitted the cutoff fingertip of a rubber glove over the metal ball and refitted the mirror glass. No more movement. @RicK G wrote: Those mirrors originally had a rubber backing pad between the pod and fairing, most haven't survived till now. I use the O-rings from a garden hose fitting over the head of the bolt so the pod is firm. I can buy five O-rings in a blister pack so I need 2 packs and 4 extra O-rings for spares. Somewhere in my well organized man cave these O-rings are gathered in groups of 4 well out of my sight. I've cut a replacement pad from leather,its working fine. I do know it wont last forever but it wont crumble apart like the foam has. Al - 58 thx 4 reply. How do i remove the pod from the fairing? It is the pod that is loose. Troy, the pods are fitted to the fairing with 3 spring clips and are designed to come off if they hit something (like a garage door), so to remove them you need to give the pod a sharp thump from the front. New spring clips are available. 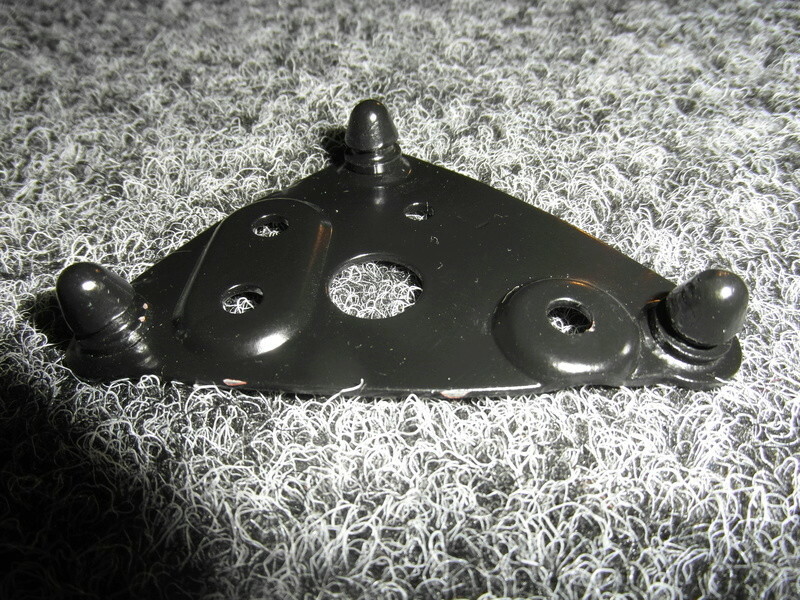 And here's the mounting plate that's fixed to the fairing. 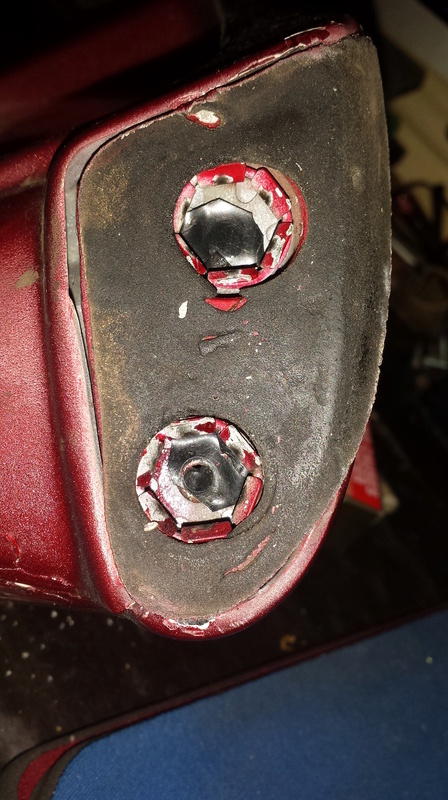 Just thinking of your problem, it may be that the screws holding the mounting plate to the fairing have come loose. which acts as the male part of the quick mount. 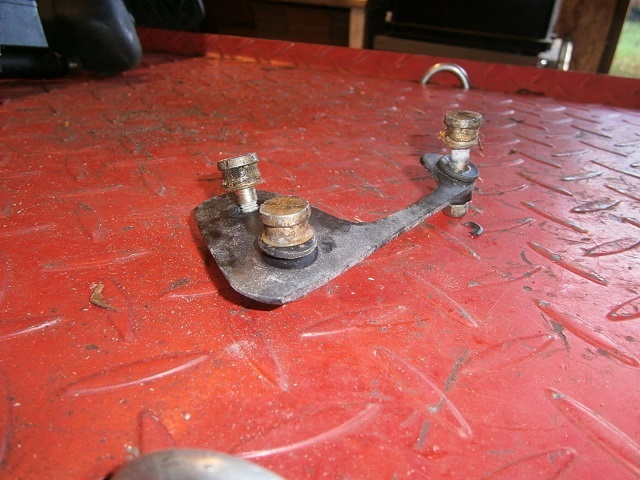 I have modified my fitting as I found that the mirror pod would not clip in securely on all three posts. By placing another washer between the fairing outside and the post I was able to raise the height and therefore all three posts were staying in the sockets of the pod. it allready is adesive on side. Charlie, Inge, Ainsjac, Rickg, .75, & Al, thank you for all the great information. especially Charlie, for clarifying that the pod removal is with an upward tap/wack. I paused my efforts on the mirror for the moment as we are experiencing dangerously hot weather. 110-120F previous few days, though cooled off a bit today, presently on 109F.